X-rays are often taken to give the doctor an inside look at what is going on with the bone structure of the entire spine and surrounding skeletal structure. 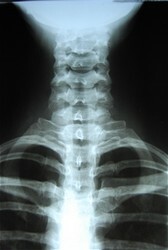 From this x-ray, the doctor can tell your current spine angles as well as any potential further issues including the potential for additional information such as an MRI. Examination and historical evaluation will give more insight into the need for imaging tests. The need for medically appropriate tests varies depending on each individual case.